Skunk is one of the most classic cannabis strains in the world and is often used as the basis for many other species because they are very good genetics has. 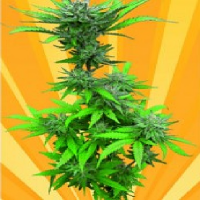 Medical Skunk Feminized Cannabis Seeds by Kera Seeds: Skunk is one of the most classic cannabis strains in the world and is often used as the basis for many other species because they are very good genetics has. She is known for her sweet taste and big buds that provide a huge harvest. This superior classic is a cross between 35% and 65% Sativa Indica. 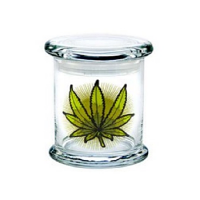 The Skunk is submitted by Sativa dominant Colombian, Mexican and Afghan parents. Skunk is becoming increasingly popular and it is also constantly improved. Skunk is very suitable for medicinal purposes. Skunk can be used for indoor and outdoor cultivation. It is a strong and robust plant that is not sensitive to molds and diseases. 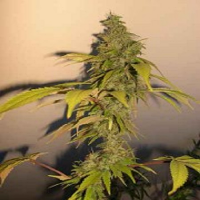 Skunk is thus also suited for the novice grower. They can both be grown in warmer as in colder climates, because she is not sensitive to cold and rain. The plant remains relatively small (at indoor growing at most five feet), but by the huge buds the yield is still high. The plant has a short flowering period of about 8 weeks. During the flowering period produces the Skunk plant at a fast pace robust stems and branches, fan-shaped leaves and huge peaks. For optimum taste experience we recommend Skunk after about 7 to 8 weeks of flowering to harvest, but if you want to go for a slightly more violent impact, can you give her another week longer bloom. Also the smoke of Skunk is delicious and violently. The taste is unique and recognizable; heavy, sweet and fruity. Immediately after smoking get a clear high in your head, heavy body stone often comes a little later. The Skunk is in perfect balance. It really is a successful attempt at least once in your life that you should have tried, though it will remain not fixed at one time. In the medical field is Skunk used in stress and anxiety.